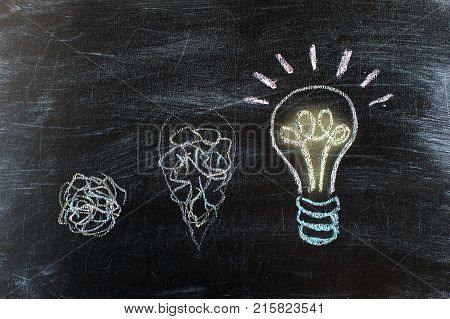 Chalkboard with Chalk Drawing of Hanging Light Bulb. 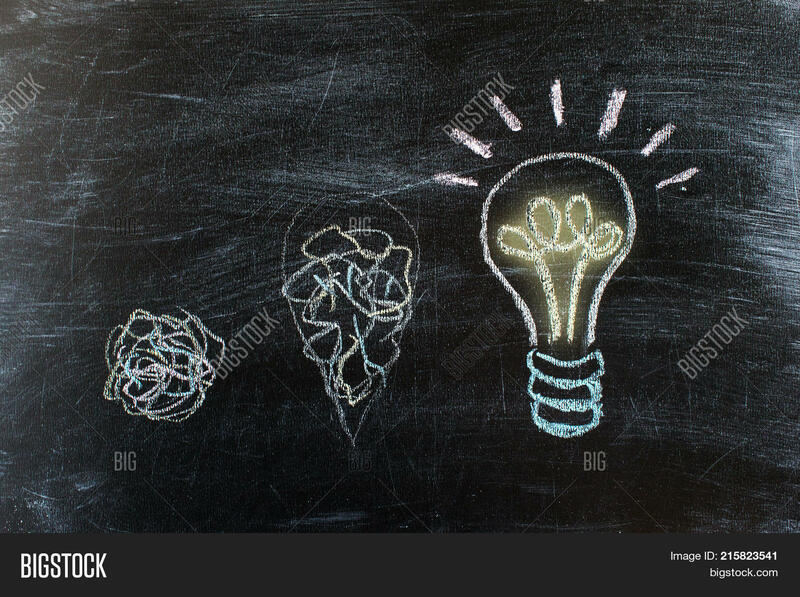 Bright idea on blackboard concept. Way of thinking the birth of idea. Creative bright unusual interesting idea. Eureka thought flash inspiration.